Built as part of contract 15527 and wheeled out of the production hangar on 25 January 1960 she was initially allocated to No. 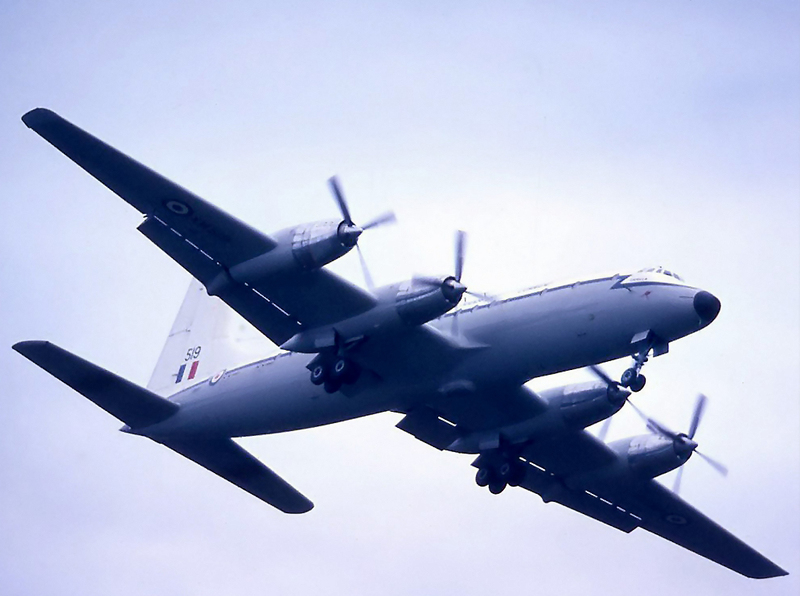 511 Squadron on 08 February 1960 and named ‘Capella’. XM519 then went to the 99 and 511 Squadron pool on 28 November 1960 at RAF Lyneham. Withdrawn from use by the RAF this aircraft was repainted by Marshall’s of Cambridge and stored at RAF Kemble from November 1975 with 18 816 hours and 8637 landings logged. 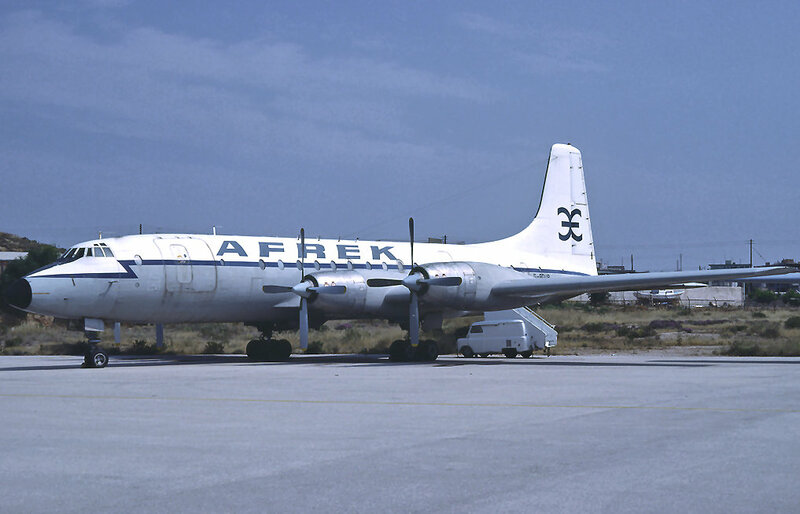 She was sold to Airline Engineering of Luton on 13 February 1976 and registered G-BDUR on 31 March 1976 and delivered to the Athens based cargo carrier Afrek, on 02 July 1976. In 1984 and out of service and stored at Athens, G-BDUR was purchased yet again by (Monarch) Airline Engineering Ltd on 30 July 1984 and ferried to Luton for major overhaul. Purchased by the Cuban Airline, Aerocaribbean, in August 1984, she was registered as CU-T121. By 1992 CU-T121 was in open storage at Havana due to the lack of spares and was no longer operated but her final days before being broken up in Cuba in 1993 were spent in providing essential spare parts for the transformation of the Transair Cargo, 9Q-CJH …see XM496 ‘Regulus’and the ‘Flight of the Phoenix’!